· with about 50% overall participation in various chapter activities. We have had 8 members meetings so far this year including a review of our priorities in January which reprioritized our Champlain 2015 Project over to a committee. · Jamie Hunter on Beads from the Ball Site. · AGM/election slated for December 8th with pot luck dinner. In addition to our regular activities Laurentian U conducted a field school at the Ellery site and Alicia was kind enough to host an open house to which our members were invited to attend. We also attempted to host a public archaeology day but this was not possible due to time constraints and the bureaucratic red tape seemingly unavoidable in such endeavours. · In support of our members and their activities we publish a quarterly newsletter titled “The Pot” along with the occasional update called “The Sherd”. · Our blog has continued with less member’s participation than we might have hoped for but none the less gives us a presence online and has stimulated some public inquiries and information sharing. 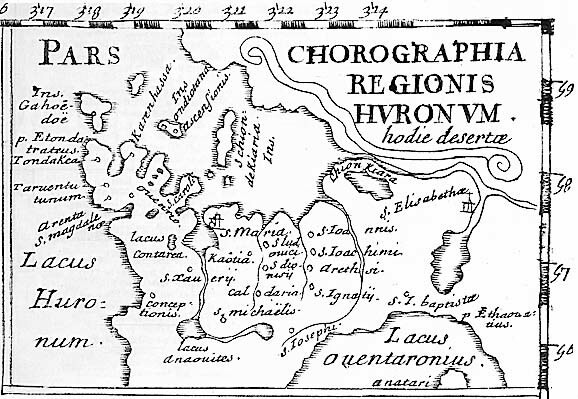 · Last year's focus on Champlain and the villages he visited in Huronia in 1615 has been formulated into a funding request that has been submitted to a local francophone organization that has a mandate to promote the Champlain commemoration events slated for 2015. · In 2015 we have committed to host the OAS annual symposium. From our networking with the First Nations community we were asked to become involved in some community consultation regarding the installation of a Bell Mobility communications tower that was proposed in an area rich with archaeological and historical resources (the Ossossane sites). Following consultation Bell Mobility agreed to do an archaeological assessment even though not required to do so by Industry Canada who acts as the regulating body for these tower installations. We were also reminded that even though these sites are designated as National Historic sites, this affords them no protection from intrusion and or destruction. Communities across Ontario have been asked to develop a protocol regarding communication towers but seem to be discouraged from asking for serious community consultation and from what I can see ignore cultural landscapes and any question of archaeological assessments. These issues might well be considered for action by the OAS advocacy committee in an effort to further the protection of archaeological sites in Ontario. We have also been asked for comment on an industrial site development that is close to some archaeological sites across the river from Ste Marie among the Hurons and visible from the Martyrs Shrine. This development was not asked to do an archaeological assessment and it would appear that the question of historical/cultural landscapes was never addressed. Another project that we have been invited to become involved with is the Mnjikaning Fish Fence Circle and their project to build a bridge over and an interpretive centre at the Atherley Narrows. This is another National Historic site that is afforded no protection and is now being encroached by developments. All in all this has been another good year with more potential projects in the works than active members to move them forward. Thanks Bill for posting this - I looks like a good report for the upcoming AGM on December 8th at the Huronia Museum. I spent part of today at the protest march re the industrial site that is adjacent to 2 of our major historical sites and a # of archaeological sites and from there went to Orillia re the bridge over the Narrows where our participation has been welcomed.